I'm in the middle of another "deep clean" of my craft room and it's time to say goodbye to some supplies. I've got a biggish box of loved stamps (most not in any packaging), papers, and a variety of other crafty things, and I'm giving it away. Please leave a comment on this post by Friday June 23, 2017 at midnight my time (Washington DC daylight savings time!). Please make sure to leave a working email or I won't be able to send the box to you. Unfortunately, to keep down the cost of shipping, I have to limit this to USA addresses. Goodies are always fun ... thanks for sharing your stuff. This is always nice to do. I just recently passed some boxes to friends but I could find room for more goodies. Love giveaways..... Packages are always special and bring JOY to all! I'm not eligible, but still want to say how sweet you are to share your goodies! 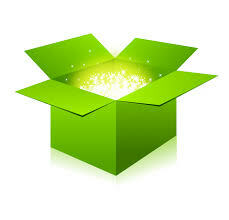 A box of your 'created magic with' products will certainly make someone's face light up in a mega watt smile! Wow, a super way to de-stash! What a great idea! Thanks for thinking of all of us. I'd love to be the recipent of your destash goody box. You are so generous. Thanks for the opportunity! ehrhardt at swbell dot net. I'd love to win your crafty box of goodies! So nice of you to share with one of us! Your rejects are someone else's new treasures. Would love to help you out. What an awesome way to clean out your stash! I wanted to just say thank you--I enjoy reading your blog (loved How Stamping Destroyed My Life) and your creations are wonderful! Good luck with your surgeries in August, I know they will go well! I don't get to comment often, but I wanted to let you know! I would love to get a fun surprise package of crafty stuff in the mail! And it may spur me on to weed out and give away some of the stuff I have but no longer use! You are so sweet to share with us!! Thanks for all you do to keep me going. I love your inspiration! How exciting! You are so generous to do this. In case I'm the lucky winner, my email add is kevcheryl@icloud.com. Thank you!!!! Love to see the fun! I need some help enabling a few newbies who are lusting for supplies but cannot buy everything right off, so I'll be sharing this bundle if it lands on my doorstep! would love to get some happy mail! This would be a great box to donate to a local children's art group...IF I win, that is what I would do with all the stamps. Thanks for the opportunity. Your cast-offs would become some of my favorite treasures, I'm sure. Thank you for de-cluttering and sharing! I enjoy your cards and would love some fresh stash! Then I can clean out my stash to make room for yours! Hope you are feeling better. I was out of my craft room for about 2 years while I fought an illness. What I have learned is that this art is very therapeutic and I am grateful to be ell enough to play in the art room again. I hope you continue to feel well enough to keep playing! Wow. What a great idea. Thanks so much for the present to someone. Good luck to all. I love your way of de-stashing and "recycling"! I must do this as I usually take my unwanted dies/supplies to the local Thrift store. I shoulda thought of this way before now. Thank you for the opportunity to win this giveaway!!! How marvellous, congratulations to the person who wins this and congratulations to you for being so strong! I love surprises this sounds like so much fun. Nothing better than a good old surprise (or a fresh start/craft room clean up) What a fabulous opportunity, thanks! oh fun! what a great way to share the stamping love. Would love to get this box!